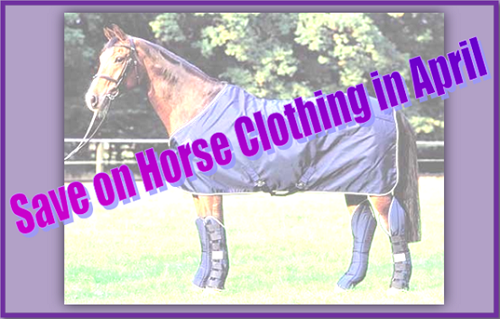 We stock everything for horse and rider, with an emphasis on getting good value for your dollar. Sandridge also offers custom products, including saddles, riding boots from Konigs of Germany, blankets and sheets, and various tack items. We carry new saddles from Circuit, Kent & Masters, Jeremy Rudge and Amerigo, and take quality used saddles on consignment. 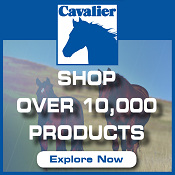 Sandridge partners with Canada's largest supplier of English and Western tack and horse supplies. Order on-line and have it shipped directly to your door! You can 'try before you buy' our saddles, most bits, and certain premium products, and we offer no-hassle exchanges or returns when needed. A direct link to information on fitting and using our products. More links and reviews can be found by going to The Archives. 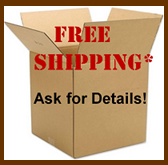 Free shipping is offered on most purchases over $ 100.00 within Canada. Our staff are all friendly, bilingual horse people who are as interested as you are in finding the right product for your needs. When you need to consult with an expert about bits, saddles - or whatever - we can help you there, too. Gift Certificates can be customized to your needs in the store, by phone or by email. Sign up and get a birthday with benefits! We have a variety of products available for rental by the week or the month - let us know what you need! Have a chance to test-ride and review the newest products. Free advertising for your equine-related business or service. 'Sandridge Saddlery' offers weekly specials, local news, contests, and interesting tidbits from around the horse world. Located between Montreal and Ottawa in St-Lazare, Quebec, Sandridge Saddlery has been supplying equestrians from Pony Club to Grand Prix with a comprehensive selection of Saddles, Equipment, Supplies and Apparel since 1986. 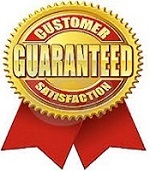 Our staff take pride in offering our customers practical advice based on product knowledge and years of experience, and in providing a range of price points without ever compromising on value. Sandridge is always researching and testing new items to add to our line-up; our goal is to offer riders of all abilities and interests a choice of quality products at competitive prices. We specialize in English saddles and work closely with Vicky Chalmers, a professional saddle-fitter who can help with the selection, fitting, and adjustment of new and used saddles for all disciplines. Whether shopping on our website, or in person at the store, we look forward to providing you with the products you need at a fair price. Should you have any questions or comments, or are looking for something you don't see, please let us know - we enjoy a challenge and appreciate your feedback.